Dublin Bowie Festival – Celebrating 50 years of Space Oddity. The venues include the National Concert Hall, The Grand Social, The Olympia Theatre, The Academy, Ebow Gallery, The Lighthouse Cinema and many other creative spaces, all coming together to pay respects to one of the most important figures in our cultural history, an artist who illuminated popular culture in a way that's unlikely to be repeated. Bowie was first and foremost an entertainer, but he also intrigued and provoked while informing his music with painting, literature, film, fashion and stage. 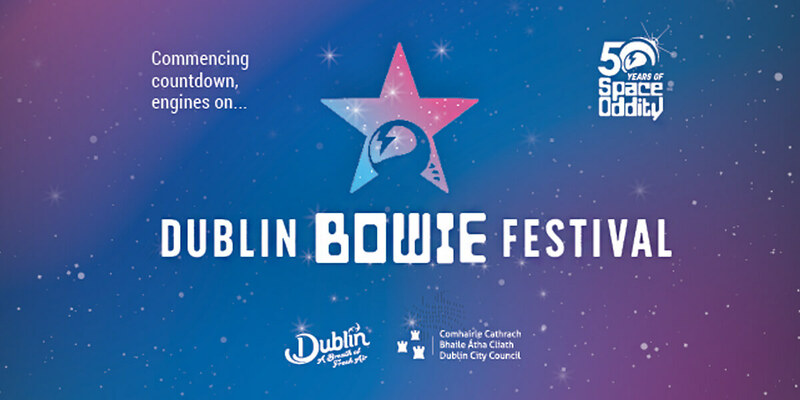 DBF aims to mirror Bowie's fascination with the arts by providing Dublin with one of the most exciting events to hit the city in years.